The Fiber Armchair by Muuto is an innovative shell chair designed by the design studio Iskos-Berlin. It consists of recyclable plastic and wood fibres, a mixture that is both environmentally friendly and stable. This makes the chair perfect for everyday use and, thanks to a four-star base with castors, it is perfect for use in the office, at conference tables or at home at the desk. The softly formed seat shell with armrests offers outstanding comfort and gently embraces the user. The swivel of the Fiber Armchair Swivel with castors from Muuto is made of die-cast aluminum, the foot is cast in one piece. Numerous other options in terms of colour and upholstery are available on request. Discover the complete Fiber Series here . Fiber Armchair Swivel with castors in grey by Muuto in single view. The Fiber Armchair by Muuto is an innovative shell chair designed by the design studio Iskos-Berlin. It is made of recyclable plastic and wood fibres and has a four-star base with castors. 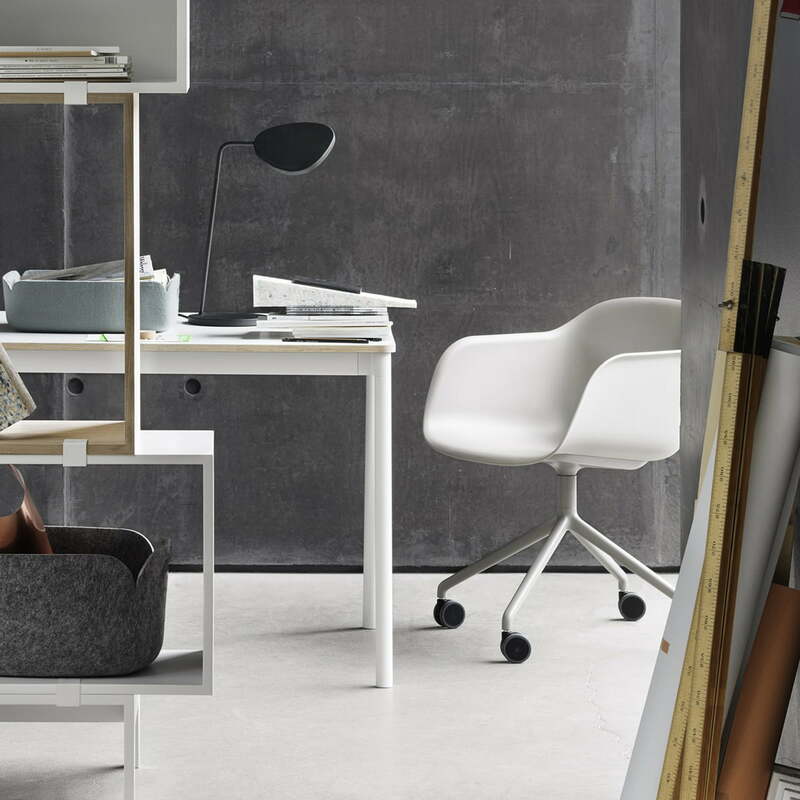 Fiber Armchair Swivel with wheels, white from Muuto in the ambience view. Thanks to a four-star base with castors, the chair is perfect for use in the office, at conference tables or at home desk. Fiber Armchair Swivel with castors by Muuto in the ambience view. 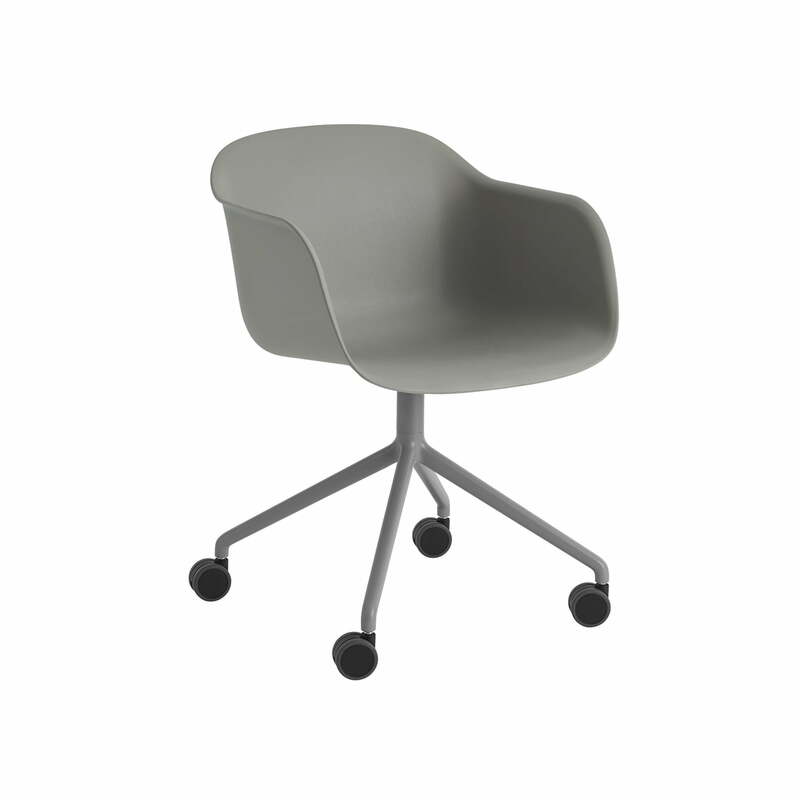 The chair is perfect for the office thanks to its comfortable seat shells and castors.